We appreciate that everyone has their own experience and ways of doing things, but our particular journey has been an evolution from what could be described as the more traditional or conventional ways through the more neutral option and ultimately arriving as what we see as the truly holistic option. We believe this because each aspect of management and training supports the others, and they all fit together to make a whole picture that we are happy to share with you. 1. You take on a horse which comes to you shod, and you remove the shoes (of course :) ). He seems fine, but after a few days he becomes very sore and he can hardly walk. a) Worry that he is in too much pain and put the shoes back on again. b) Keep him in a stable on rubber matting and a deep bed, and give him some bute (phenylbutazone) for the pain. c) Put some well-fitted hoof boots on with padding, and put him out with a laid-back companion. 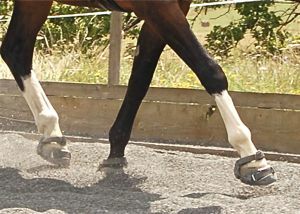 It is normal for horses to experience pain when the blood supply improves again in their feet after shoes. It is similar to the pain we feel when our hands are warming up after being very cold. 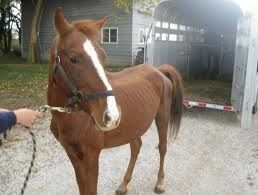 Giving painkillers might make a horse in this condition move more than they should and aggravate the problem. The best scenario is to help them with comfortable boots and let them move around as much or as little as they can cope with until their feet adjust. Good company and liberty will help the horse to feel happier which is the best healer. It is an interesting point that biological systems need feedback to heal themselves. 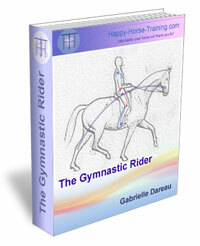 If horses can't move about therefore, the feedback is restricted, and healing is inhibited. Using pain-killing drugs is another way of confusing the feedback loop. 2. 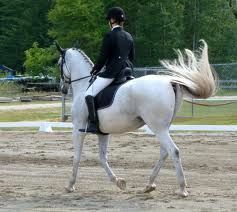 You are working with a young horse in the arena and something spooks her in the neighboring trees. a) Let her stop and look for a moment but decide there is nothing there and she must pay attention to you, so you push her forward again. b) Let her stop and only ask her to go on again when she relaxes and flickers an ear back to you. c) Push her forward briskly turning her head away from the trees and make her concentrate on her work. Horses are prey animals, and assessing the danger around them is part of the behaviour they have evolved to survive. If we insist that they ignore these instincts we will make them tense, and tense horses cannot listen properly or trust us with their bodies. By accepting their need to decide about the dangers around them, we are already building trust with them until the point that they are able to continue without the need to check for themselves. Traditional ideas that horses are only playing up or lazy are not part of what we believe at HHT. The goodwill of the horse goes without saying for us, and they will give us all they have and sometimes more if we learn how to ask. 3. You have a mare with a six month old foal at foot going into the winter, and your mare is in foal again. b) Separate the foal from the mare and put him in a safe stable where he can't hurt himself until he is weaned. The mare respects the fences so she stays out. They are out of hearing range of each other. c) Begin to take the mare out for short sessions away from her foal, and, when he is coping better, find another youngster to put him in with and separate them a few fields away from each other. This question really tests how much faith we have in horses as a species. It is one of the hardest leaps to make, but once there you don't turn back. Horses are family animals, and the integrity of the family must be preserved above all else. The tradition of weaning was no doubt initiated for economical reasons, so that mares could be kept producing foals year after year, and the youngsters moved on quickly. If we are concerning ourselves principally with the good of the horses, however, we would find that the holistic option of leaving the family unit intact has many more advantages than disadvantages. Assuming the mare is being well provided for, when she wants space to have her new baby, she will demand it from her current youngster. This youngster however will remain on hand to supervise and play with the new foal, giving their mother a much needed break. 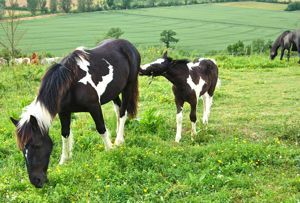 The stress and disruption of forced weaning can only be harmful for both the foal inside the mare and the yearling outside, no matter how 'nice' we try to make it. Imagine a human family when the young child is sent off to boarding school at the arrival of a new baby. Few people still adhere to the benefits of this human tradition, and it is no different for horses. 4. You are entered for an important qualifier class at a show and your intuition tells you that your horse feels slightly dull and off-colour in the collecting ring. Of course competition in any form is difficult to align easily with the horses needs. This is why we personally do not even attempt it any more! It is not for us to say that doing it with the right intentions is not possible, however, but it is very tough, and this question highlights the problem. 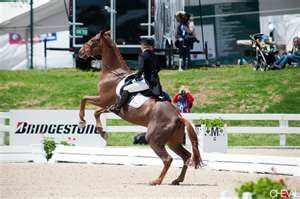 If your horse doesn't feel 100% then not only will he suffer to some extent when asked to extend himself in a class, but he will also then associate that with competitions in the future. In a way, persisting in participating therefore helps no one in the long term. Acting on your intuition is the best way to encourage it to develop, whereas ignoring it will only stifle it. 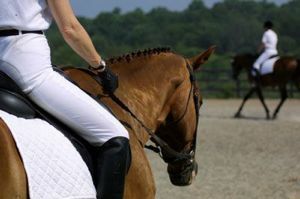 Of course waiting for ten minutes was an option in this case, but if your horse is unwell to any degree then ten minutes won't make any difference, and is just putting off the inevitable choice: what is best for you or what is best for your horse. 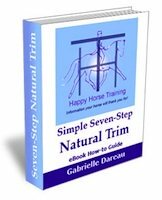 If we go with our horse then we begin to see that in fact there is nothing better for ourselves than the well-being of our horse and the holistic option is clear. 5. You are at a dressage clinic with a big name rider and judge. He asks to ride your horse and begins to get into an argument with her. a) Defer to the trainers greater experience and let him sort your horse out. b) Feel upset about your horse, and when the trainer gets off her you cancel the remaining lessons and take her straight home. c) Insist that he stops riding her straight away. It is true that what constitutes an 'argument' with a horse is arguable in itself, but in practice it is rarely that sophisticated. Fighting with a horse is just that, and it is important that we believe in our own position as guardian and defender of our own horse, and not allow big names and renown to intimidate us. So many people talk of lasting trust problems after an episode like this because they didn't intervene. The principle applies to any practitioner or handler, because remember that trust which is damaged between your horse and other human beings is ultimately going to affect you the most, and a few minutes of embarrassment will be worth it in the long run. One of our mares was bullied by an equine dentist when we were not supervising, and although he was asked to stop as soon as we realised what was going on, it has taken us three years to make any kind of progress with the highly sympathetic dentist we have now. It is important to believe that we can attract the right people to help us with our horses, and part of this is to stand up against what we don't believe in. 6. You rescue a half-starved youngster, and after a few days you worry about his parasitic load. a) Increase his feeding gradually and look into herbal support for his liver and digestive system. b) Give him a decent dose of de-worming paste from the vet. c) Wait until he has regained some condition and his gut is healthier then give him a de-worming paste from the vet. As with all conventional medicines the logic behind their action is one dimensional, unlike the holistic option. Synthetic de-wormers kill worms of course, but if you have a young horse with a heavy worm load, and many of those worms are hanging off the horses gut wall, if they die, what is going to happen to the gut wall? Many horses die as a result of the toxicity of wormers affecting their liver over the long term, and many horses also die from damage to their gut wall when it is fragile and over burdened with parasites. It is essential to act gradually and carefully when rehabilitating such horses. Horses will only become over-burdened with worms when they are starved, neglected or ill. When they are healthy they have a low worm count which is natural and probably has benefits we are still only guessing at e.g reducing the likelihood of laminitis. For this reason when a horse is regaining condition over time, the parasitic load will reduce naturally over time. Sometimes there may be lasting damage, but the only remedies for this are certainly not going to be pharmaceutical. Drugs do not heal, they are designed to destroy symptoms so that healing is only apparent. We have not wormed our 19 horses for nine years, and they are all healthier than they have ever been. c) Call the Vet out to give him antibiotics and anti-inflammatory drugs as well as cut a good part of his sole away. You fill in the hole afterwards with some kind of hoof repair resin, bandage it all up and keep him in for a few weeks. Foot abscesses are another contentious issue amongst equestrians, probably because they are so painful for horses. This pain is only going to be perpetuated if it shifts into a pedal bone infection or other such horror as a result of unnecessary intervention however. An abscess is a way for our body to rid itself of waste matter which has either penetrated through the skin layer or gathered within the body . It is very efficient if it is allowed to develop at it's own pace and burst without disturbance. We have experience of abscesses in many different parts of a horses body, and also as part of a disease process (strangles) and we have never had a problem following this rule. The worst interference, of course, is administering antibiotics because they can push an infection deeper into the body and cause a much more serious problem, or just slow down and derail the abscess forming process. 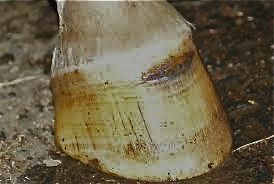 The reason hoof abscesses are particularly painful for the horse is that the hoof wall and sole don't allow an issue, so the abscess has to travel to the top and come out at the heel or the coronet band. This is the natural way, and by far the safest way, because the internal structures of the foot are not compromised. If the abscess is broken into prematurely there is also the risk that it will not drain properly. Supporting health and allowing healing are the best way to approach all of these issues. 8. You are schooling a horse for a friend. When you lead him in from the field he continually pushes right into your space. b) Let him graze on the edges a bit to settle him down. c) Stay calm and push him firmly out of your space until he yields to the pressure and becomes calmer and more willing to listen to you. Handling a horse on the ground is as important as riding, and the ideas are the same: mutual respect which is born out of trust. Every interaction we have with a horse either consolidates trust or destroys it, so it is important to be conscious of our actions. A strange horse won't have any trust connection with us yet, and if they are manifestly not fearful, as the horse in the example wasn't, then rather than respecting their boundary, we need to concentrate more on having our boundary respected. 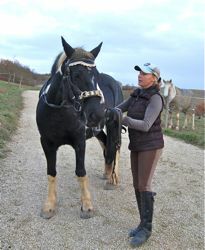 This has to be done with the right attitude of calm and confidence or the horse will not choose to trust us. Contact yielding is a very powerful way to define trusting boundaries by calming the horse but insisting he must be aware of his handler. 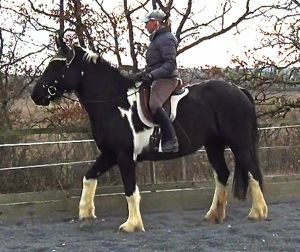 b) Get off immediately and after checking the fit of the saddle again see how she behaves on the lunge before sitting on her again. c) Push her on quickly and firmly, keeping a good steady rein contact, and give her a tap with the whip if she ignores your leg. Over time we have come to accept that how a horse behaves is a direct result of how they feel, and although this can be transformed radically by sympathetic and correct gymnastic training, only within certain limits. Horses which feel unsafe are usually in extreme discomfort or pain, and it isn't worth the risk to the rider to attempt to ameliorate this in the saddle; particularly as in this example when a new bit of equipment is being assessed. 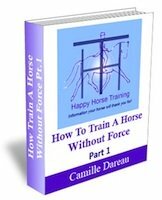 It is far more sensible to ask the horse to move on the lunge and try to see the source of the discomfort from a position of relative safety. Horses are incredibly powerful animals, and we must respect their signals to us, which are often perfectly clear, if we want to have a true communication with them.